The UNU-WIDER Visiting PhD Fellowship Programme gives registered doctoral students the opportunity to utilize the resources and facilities at UNU-WIDER for their PhD dissertation or thesis research, and to work with researchers in areas of mutual interest. About the Award: Visiting PhD fellows typically spend three consecutive months at UNU-WIDER before returning to their home institution. During their time in Helsinki, fellows prepare one or more research papers and present a seminar on their research findings. They may also have the opportunity to publish their research in the WIDER Working Paper Series. Applicants must be enrolled in a PhD programme and have shown ability to conduct research on developing economies. 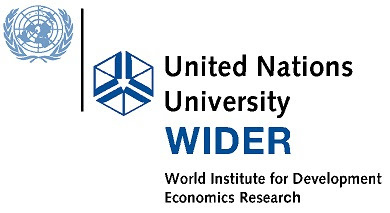 Candidates working in other social sciences may apply but should keep in mind that UNU-WIDER is an economics-focused institute. Candidates should be fluent in oral and written English and possess good quantitative and/or qualitative analytical skills. Applications from suitably qualified early-career, female, and developing country researchers are particularly encouraged. The programme is especially addressed at researchers at later stages of their PhD. Number of Awards: The Visiting PhD Fellowship Programme is highly competitive and only a limited number of fellows can be accepted. In recent years, one percent of all applications have been successful. Value of Award: UNU-WIDER provides a travel grant to cover the costs of travel to and from the location of your PhD granting institution, medical insurance (for medical and hospital services resulting from sickness and accident during your stay at UNU-WIDER), and a monthly stipend of EUR 1,600 to cover living expenses in Helsinki during the period of their fellowship. The programme does not cover expenses related to dependents. As part of your application, you will be asked to upload your curriculum vitae. Your PhD supervisor will need to provide UNU-WIDER with a letter of reference, which should be emailed (by your supervisor) to the following address: phdreference(at)wider.unu.edu. The reference letter will also be used to certify that you are enrolled in a PhD programme at your university. Please note we do not receive applications by email or post. UNU-WIDER only receives online applications for the Visiting PhD Fellowship Programme twice each year. Deadlines for submission of applications are 31 March and 30 September 23:59 UTC+3 each year. When applying in September, you would be visiting UNU-WIDER in the period of February-June of the following year. When applying in March, you would be visiting UNU-WIDER in the period of August-November of the same year. Important Notes: Please note that the link to the online application form will only become active one month prior to the submission deadline (e.g., application procedures start on 1 March and 1 September of each year).